The contest is over, and the winners have been chosen. Congratulations Lynn, Megan, Amie, and Darlene! Win a Free Audible Audiobook! 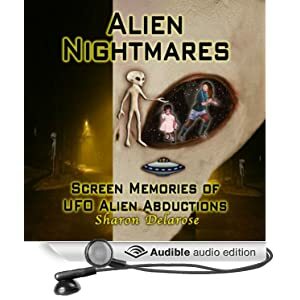 To help me promote the audiobooks, Fomorian Earth: Star Borne: 1, Shades of Moloch: Star Borne: 2, and Alien Nightmares: Screen Memories of UFO Alien Abductions, Audible gave me promo codes to gift out free copies of the audio books. I'm giving out ten free copies through this giveaway. To enter, input your first name, last name, and email address (a real one, since that's how you'll be contacted if you win.) You can get extra entries by sharing the sweepstakes with your friends once you've entered. Giveaway ends October 21, 2015. One entry per person, unless you partake of sharing the sweepstakes, in which case you can gain unlimited entries for spreading the word. 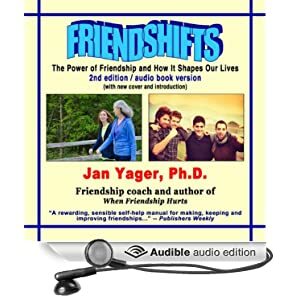 Winner will receive a free Audible audio book, gifted to you through Audible.com. You can choose from one of three books: Fomorian Earth, Shades of Moloch, or Alien Nightmares. I don't send out emails to anyone, unless they've emailed me and expect a response. Your email will NOT be shared, sold, or used in any kind of email blast. The winner will be emailed, of course, but only to give out the prize. If you’re into free science fiction audiobooks, join the giveaway! 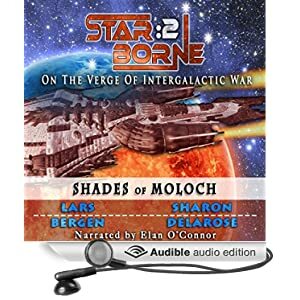 We’re raffling off 10 audiobooks, that’s right TEN AUDIO BOOKS, from books one and two of the Star Borne sci fi series. Pick whichever book you prefer, as all are able to stand on their own. Or, if you aren’t into science fiction, how about UFO alien abduction non-fiction, as in my own personal true story? You can choose that one, too! A kidnapping ignites an intergalactic war, as the demon-child comes of age on Earth. Walk the scary trails with me, haunted by creatures who followed me for decades. These are Audible audio books, so if you need a new book for your audiobook library, Audible gave me free promo codes that I can use to gift a reader, or reviewer, or better yet — a reader who’ll leave a review. 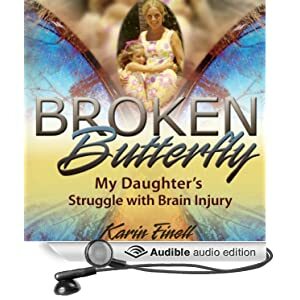 Enter the sweepstakes to get the audiobook FREE on Audible.com! Once you’ve entered, a screen will pop up that lets you multiply your entry by sharing the giveaway with your friends on Facebook, Twitter, and Pinterest. If you’ve got a lot of friends, you can rack up a lot of entries for yourself! Giveaway ends October 21, 2015, and the winner will be chosen at random. 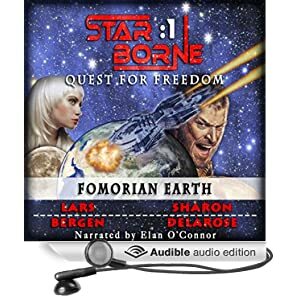 This entry was posted in Audiobooks, Entertainment and tagged audio book, audio books, audiobook, audiobooks, book freebie, book giveaway, celtic mythology, fomorian, fomorian earth, fomorians, free audio book, free audiobook, free book, free giveaway, free sweepstakes, get a book free, get a free book, giant, giants, giveaway, ireland, irish, legend, myth, mythology, sci fi, science fiction, shades of moloch, star born, star borne, sweepstakes, win a book, win a free audio book, win a free audiobook, win a free book. Bookmark the permalink.